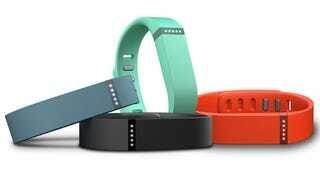 Apple plans to stop selling Fitbit devices in its stores, according to a report from Re/Code. This makes sense, since Apple is getting into the wearable health tracking market with HealthKit and its Apple Watch, and Fitbit already said it is not going to integrate with HealthKit. As Re/Code pointed out, plenty of other health app makes like Jawbone UP and MyFitnessPal have updated their programs to include HealthKit integration. It's not clear if this plan is a direct result of Fitbit's reluctance to sync up to HealthKit. There's no word on whether Apple will continue selling other rival fitness wearables like the Nike FuelBand. Apple is also reportedly preparing to stop selling all Bose audio products. Since Apple bought Beats, Bose is a rival, so that also makes sense. This could be part of a larger plan to halt sales of products that compete with devices in the Apple ecosystem. If you were really set on purchasing a Fitbit while basking in the minimalist glow of the Apple Store, I'm sorry to puncture your dream, but the good news is you can still easily buy a Fitbit from over 37,000 other vendors, including Amazon, Target, and Walmart.